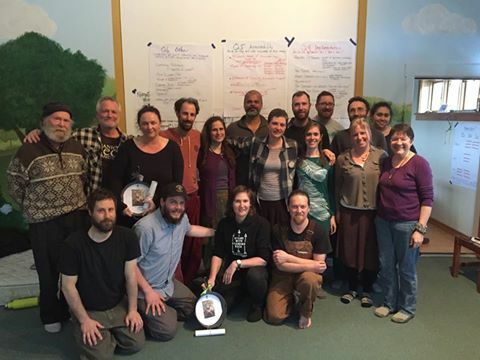 The Permaculture Association of the Northeast is recruiting for our board of directors! PAN is currently seeking 2-3 motivated individuals interested in serving on its board of directors. Individuals should demonstrate dedication to helping strengthen the northeast permaculture network, express interest in increasing access and opportunities to permaculture education, and assisting in building overall capacity within the northeast. PAN is structured as a 501c3 non-profit organization and is operated by a voluntary, working board of directors and 1 part-time paid Board Assistant. Please note we are specifically looking for individuals that would be willing to serve as Treasurer and Clerk/Secretary, individuals from Maine, New York, Vermont, Western Massachusetts, Connecticut, and Rhode Island, and other individuals that would expand our board’s diversity. As a working board, PAN board members are involved in a variety of tasks including operational duties that enable PAN to maintain its non-profit status as well as participate in direct work on projects. For more information on PAN’s work, please view: http://northeastpermaculture.org/pans-work/. Board members also are expected to ‘listen in’ to their area within the region and bring concerns, opportunities, and needs for support to PAN and the larger permaculture network. The board representing PAN helps establish stronger ties within our region and develop support for groups, individuals, teachers, and courses. Being a board member of PAN requires approximately 2-5 hours a month, including a call-in meeting with the other board members. Responsibilities vary according to board member roles, needs of the organization, and the annual strategic plan which is collaboratively created by board members at the beginning of each year in response to needs and priorities determined by the wider network. Board membership requires integrity, responsibility, organization, and leadership to represent and forward the mission of building the resilience of our region through permaculture work and education. Other desirable personal qualities include an ability to: work with a diverse membership, play nicely with others, and use effective communication skills to peacefully express differences of opinion. Attend regular board meetings, held monthly (as we are able). Board meetings are typically held as group conference calls using Zoom Conference Call service. Members can call in using WI-FI or by phone. Attend 2-3 regular yearly in-person meetings. Meetings may be held in the winter, fall, and/or summer. Be actively involved in the continuing work of PAN and be committed to the PAN mission and values. Values of PAN include embodying the permaculture ethics, transparency, humility, being of service to the larger permaculture community, encouraging symbiosis and collaboration, valuing ecological patterns of organization, a commitment to social justice, and supporting decentralization, local autonomy, and self-organizing across the network. Commit to PAN board work approximately 2-5 hours per month. Because PAN is a working board, projects often require tasks to be completed outside of board meeting time. Board members work to support each other in the completion to these tasks. Bring ideas and insight relating to the permaculture network in your area to the full board. Follow guidelines and procedures as outlined in the PAN bylaws. Make a 3 year commitment to board position. *Please note that to be a member of PAN’s board of directors, you must be a member of PAN. If you are interested in learning more about PAN and serving on the board, please also consider registering for our 2019 Winter Retreat, which will be held Friday January 25th to Sunday January 27th at D Acres Permaculture Farm in Dorchester, NH. For more information, see below or visit: http://northeastpermaculture.org/pan-winter-retreat/. If you have any questions about becoming a board member, please contact PAN Board Coordinator, Stacey Doll at admin@northeastpermaculture.org.